Ecotourists on North Island take advantage of every waking moment on the Island, from when the sun comes up over East Beach to the minute it disappears below the honey-hued horizon on West Beach. Their days are filled with meaningful contribution towards our Noah’s Ark programme as well as long-lasting memories of their time spent on North. Life goals. Not many people get to start their weekday with long beach walks (on private beaches to top it off). East Beach is aglow with the soft light of the first rays of Seychelles’ sunshine. There’s not a soul around, not a footstep on the beach. Before the heat of the day kicks in, we set off on our patrol from one side of the one-kilometer stretch of powdery beach to the other. We’re on the lookout for fresh turtle tracks and evidence of nesting. Today, we’re lucky to spot a Hawksbill Turtle in action. She covers her nest of freshly laid eggs, carefully spreading sand around to throw any predatory crabs off the scent. CJ and Tarryn, the Environmental Managers, check her titanium identification tag, take her measurements and note down the data before she gracefully enters the water once more. Before continuing our patrol, we demarcate the nest with bamboo markers to protect it from accidental footfall. A coconut is placed on one of the bamboo markers with the date that the nest was laid, which allows us to estimate when it will be due to hatch. We also have a bag with us to collect any inorganic debris that may have washed ashore, to keep North Island’s beaches clean and ensure that we maintain a sanctuary for nesting sea turtles. With the sand still on our feet, it’s time to get to the office. 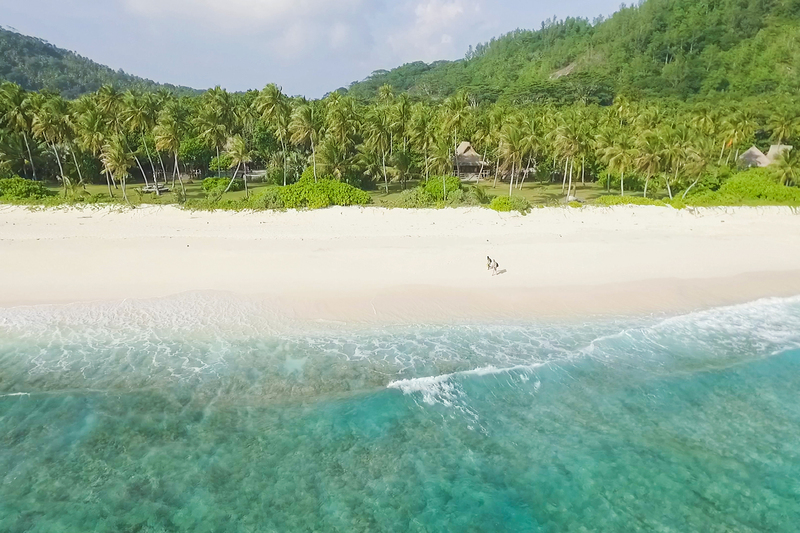 We deliver the data we have collected from this morning’s daily beach patrol to the Environmental Managers to be inputted into our database, which we share with other islands in the Seychelles. We divvy up the tasks for the rest of the day and set forth into the sunshine and bright blue skies once more. Today, we’re ready to plant trees. We head off to the Island’s Nursery where indigenous seedlings have been lovingly grown and tended to. On the way, we spot Brutus – one of the oldest Giant Aldabra Tortoises on the Island – under his favourite tree and we quickly mark down his location in the app on the smartphone that we carry around with us wherever we go. The app allows us to get data points for each individual (since they’re numbered), and over time we will have created home range maps for the different individuals that will allow the Island to assess the difference between male and females, ages, as well as seasonal variation. 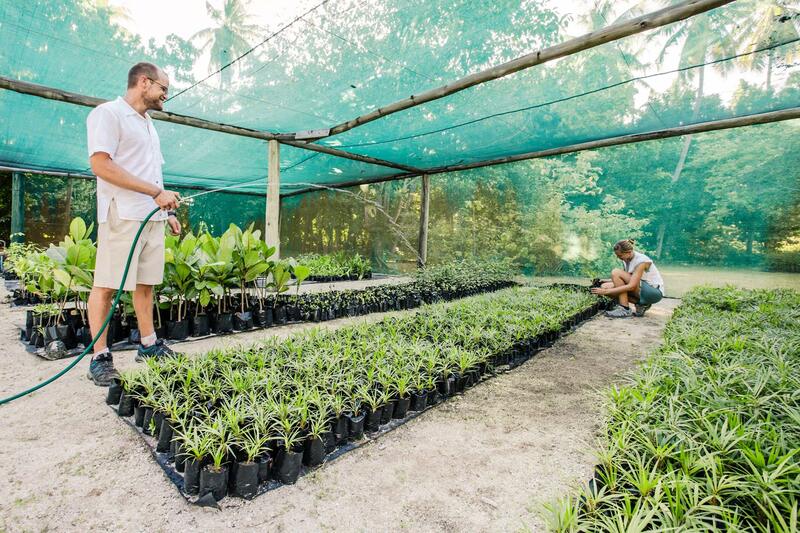 We collect the trees and plants that are ready to be transplanted in rehabilitation areas across the Island that have been cleared of invasive coconut trees, making way for species native to the Seychelles. In this way, the natural habitat has been restored and North Island is a place where endemic fauna and flora can flourish. North Island is one of the few places in the world where you can call snorkeling work. We pull on our UV-protective North Island vests, don our masks, slip on our flippers and wade into the warm, yet refreshing waters surrounding North Island. The visibility of the crystal-clear water is perfect for monitoring fish species. We take photos on underwater cameras and mark off our sightings on our slates. After all that activity, we’ve worked up an appetite. On our way to dinner, we stop off at the Environment Office to download our colourful photos and deliver our data. We catch up with CJ and Tarryn over supper and learn about the exciting conservation projects that are in the pipeline and hear more about those that are already underway. We hop on our bicycles and head to West Beach in time to catch the sunset. The Seychelles skyline puts on a beautiful show for us while we get to know our new friends that we’ve made through the programme. We soak up the moment before we begin our night patrol. 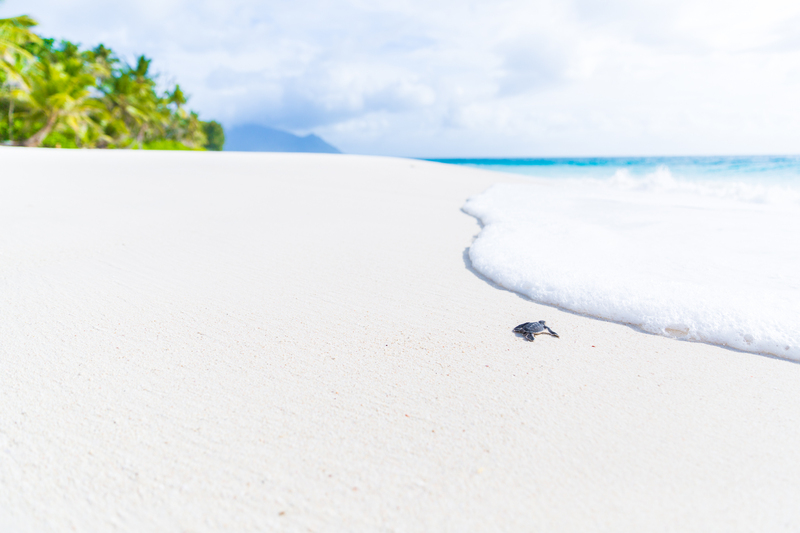 We’re hoping to spot Green Turtles which nest after dark, and on everyone’s bucket list, to witness hatchlings dig their way out of their nest and scramble down the starlit beach towards their future. Just another day in private-island paradise! Click here to learn more about volunteer tourism on North Island.